A vehicle history report (VHR), also referred to as a VIN check, VIN number check, or VIN lookup, is a detailed document that provides vehicle information about the history of a particular car, boat, truck or RV. 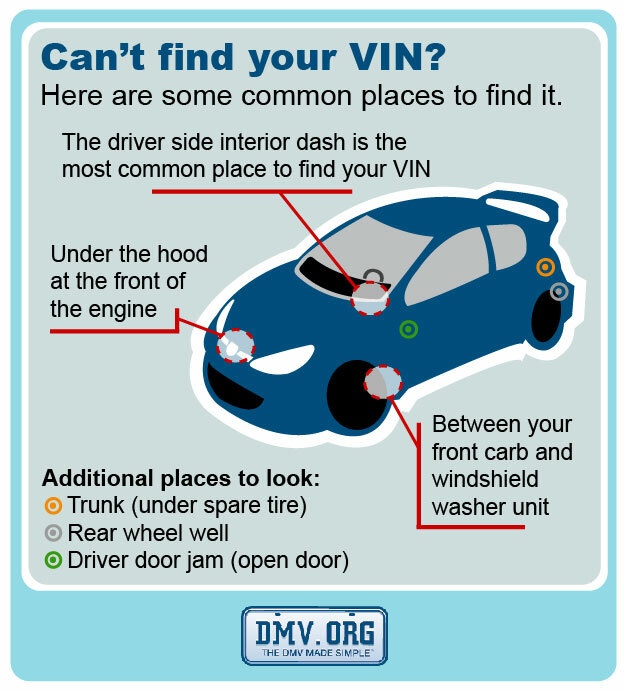 In order to obtain a VHR to verify a car's history, you'll need to know your vehicle identification number (VIN). Typically companies offer either a free VIN Check, or a more complete paid VIN number lookup. What Will a VIN Check Tell Me? In order to get your car info by VIN lookup, you will need to verify the VIN. Use the diagram below to help you when looking up VIN numbers. Do I Need a VIN Check if I'm Buying a Car? Vehicle history reports can make purchasing a car less of a gamble. Why roll the dice when you can actually know exactly what you are buying by doing research on a VIN number? Obtaining a report is as simple as verifying the VIN number and hopping on a computer. Do I Need a VIN Number Check if I'm Selling a Car? Whether you're a private seller or a dealer, a vehicle history report can help you sell a vehicle. If the VHR is free of questionable content, what better way to gain the buyer's confidence? Also, if there happens to be suspicious-looking information on the report, you can find out what it's all about and ease any concerns a customer might have. Can I Get a Free Vehicle History Report? The information you receive is limited to basic things such as recalls and customer complaints. If you want a vehicle's accident or lien history or a stolen vehicle check, you'll have to pay for that information.